The Oracle Private Cloud Appliance is an Engineered System designed to simplify the installation, deployment and support of Oracle and non-Oracle Application and Database workloads on a guest OS. Built with Virtualisation and scalability in mind, the PCA is a solution for organisations that are looking to consolidate general purpose workloads and virtualise each environment to drastically reduce infrastructure and operational cost. If Public Cloud isn’t the right platform for you, then the odds are that Private Cloud is going to be an attractive proposition instead. The PCA is not to be confused with Oracle’s recent push at promoting “Cloud at Customer”, which is a completely different Engineered System solution designed to solve problems mostly seen in the Public Sector. I often find that customers looking for converged infrastructure have a penchant for Vmware as their Virtualisation tier; an understandable choice seen as how it’s still the #1 product in that space. However, given that we often have dialogue with customers running Vmware we know for a fact that most customers don’t fully utilise all the features that they’re paying for. I’d say that 6 out of 10 customers of ours are only using the core Virtualisation features for isolation, consolidation and simplified VM management. Why are they paying so much for an Enterprise Virtualisation solution and not using an alternative? OVM is Oracle’s license free VM software and is at the core of the Private Cloud Appliance. By using OVM, organisations can slash the cost of Vmware support or even remove it completely whilst still benefitting from the core principles of Virtualisation. Another benefit? Remove the risk of non-compliance that many customers find themselves in by deploying Oracle software on Vmware Virtual Machines. Manageability – Use OEM to orchestrate your Private Cloud, apply full system patches with no downtime and simplify day-to-day “BAU” operational tasks. Is the PCA the right platform for you? Let’s do some numbers… Simply put a score of +1 or 0 next to each of the following questions. Scores over 5 mean that you should seriously consider a demo or proof of concept. Scores of 0 suggest this isn’t for you! Somewhere in-between suggests that there might be another Engineered System worth considering. Ready to learn more? Why not book a workshop to dig into the detail and understand how the PCA will impact your Cloud strategy. Contact a member of the Engineered Systems team to discuss further. Jon is a member of the Oracle sales team and works with customers from start-ups, SMEs to large corporations to gain maximum value from their investment in Oracle technology. 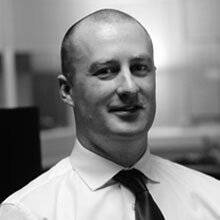 Jon works with the technical and development teams to shape solutions based on customer demands and develops long lasting customer relationships based on his open and trustworthy approach.